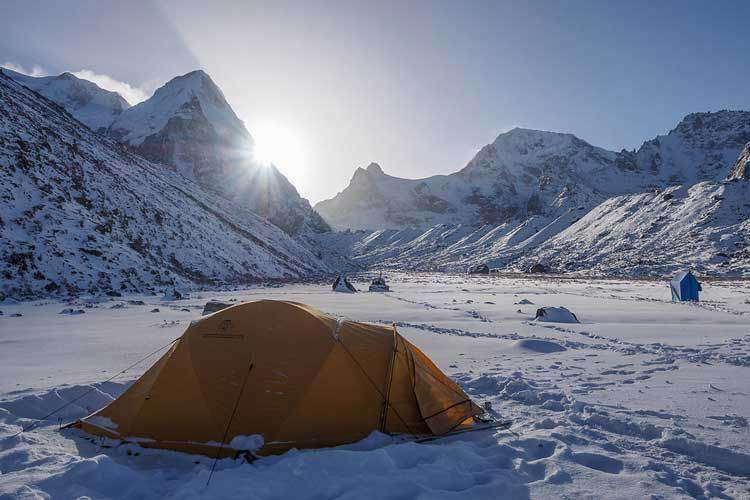 Kanchenjunga base camp trek is one of the essential trekking destinations in eastern Nepal. 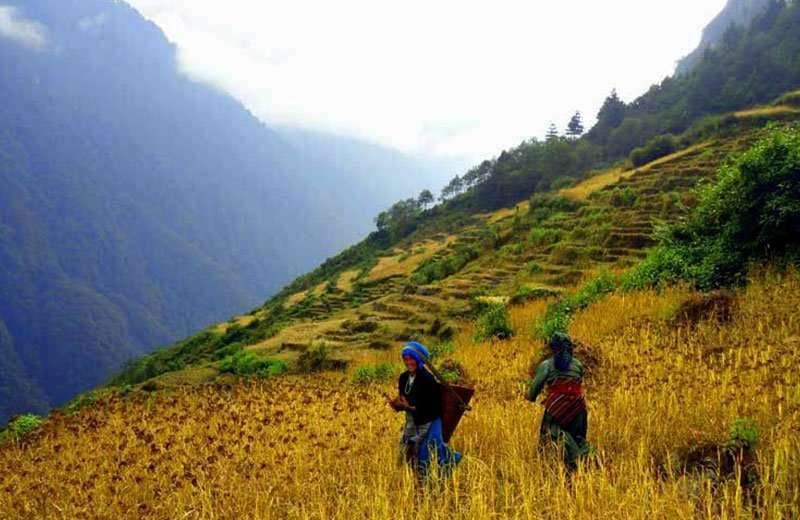 The meaning of Kanchenjunga is “The Five Treasures of Snow.” Kanchenjunga region trek is less crowded, but the travelers might be rewarded with a unique perception into Nepali rural way of life and also its rich culture. The Kanchenjunga circuit trek concludes as a teahouses trek. 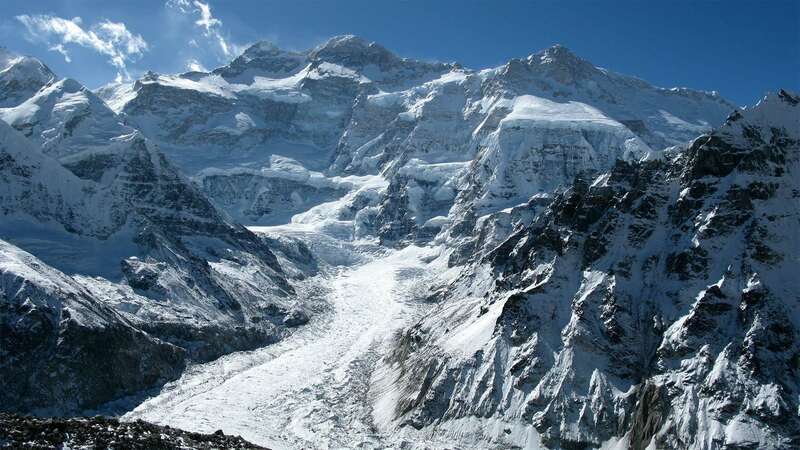 It is getting popular, and many trekking gateways exist, so everything you need to know about Kanchenjunga Circuit Trek. 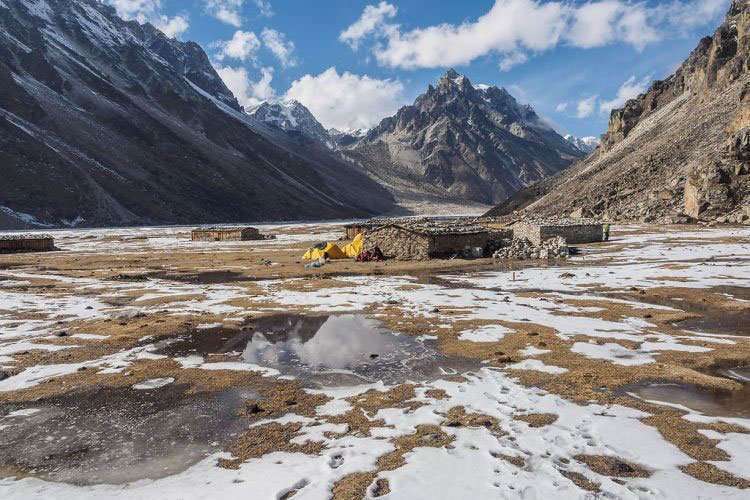 Based on the timeframe, interest, and ability although Himalayan Exploration Treks offers 26 days Kanchenjunga circuit trekking as an authentic teahouse trek. The Kanchenjunga base camp trek starts at Suketar and finishes at Thorpu. 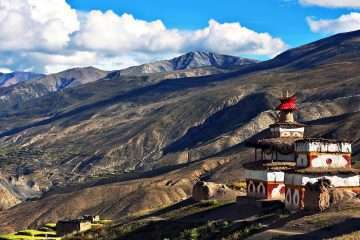 It passes through the several charming villages, exotic flora, and fauna, as well as the barren valley. Finally, get at north Kanchenjunga base camp (Pangpema). Similarly, The Limbu dominates in the lower valley and influence of Tibetan Buddhist in the upper valley. It is another portion of the attraction. The breathtaking views are towering just in front of the eyes such as Jannu, Kanchenjunga and Chang Himal include Mount Kanchenjunga itself. The Kanchenjunga circuit trek provides a fascinating introduction to its cultural diversity together with their warm hospitality and their vibrant cultures ample space of the sparsely inhabited. Moreover, Buddhist shrines because its aim to visit the Kanchenjunga south base camp although the trek requires good physical condition and mountain experience. 3: Flight to Bhadrapur and drive to Kanyam. 4: Drive to Taplejung and then continue trek to Chiruwa 1185 m.
9: Rest & Acclimatization day! 11: Rest and exploration day!! 14: Trek back to Ghunsa. 18: Trek to Cheram (Tseram). 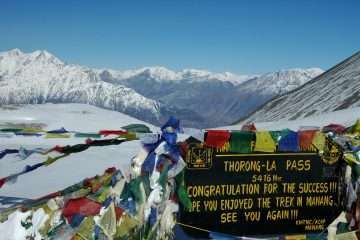 20: Trek to Sherpaguan / Yamphuding (2080 m). 25: Free day in Kathmandu. We will take a flight to Bhadrapur hot and humid Bhadrapur near India Border and drive to Kanyam nice and peaceful tea garden stay overnight at Guest House. 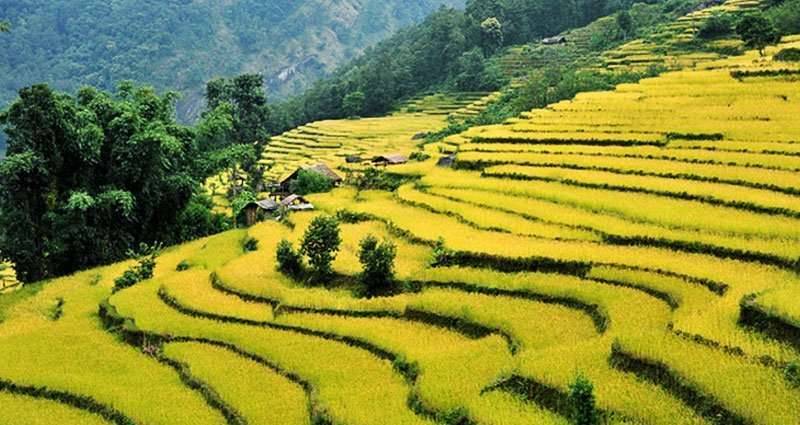 Drive toward a high eastern way to Taplejung and after Taplejung recently build dirt road to Chiruwa via Mitlung and Tawa village about 7 hours stay overnight at a Teahouse. We are gradually climbing up for a couple of hours then descend to the lush green forest. The trail goes following the Tamor River to get Olangchung Gola This day; also, we walk uphill for some time and descend to the lush green vegetation. Then, we follow the Tamor River to the OlangChungGola, the entry point of Kanchenjunga National Park. An easy and short walk to Sekathum. We cross the River and take a steep trail up to the hill then descend to another side of the hill and cross the river again. Walk along the steep pathway and descend to Amjilosa. This day, we take full rest for acclimatization with an exploration of local areas. We make a short hike towards the Lapsang La through a lush green forest. We will stay overnight at our campsite. After exploring Ghunsa and its surroundings, we continue our trek further north along the river bank. We walk through the alpine forests. We cross many suspension bridges over the river, and pass waterfalls and finally reach Kambachen. Day 14: Trek back to Ghunsa. We trek back to Ghunsa taking the same trail we walked up earlier day stay overnight at Ghunsa. Day 18: Trek to Cheram (Tseram). Morning hike up to Oktang viewpoint for Kanchenjunga south view. After enjoying views of the majestic Kanchenjunga peak; back to Ramche and have lunch. After lunch trek back to Cheram (Tseram) stays overnight at the tea house. Day 20:Trek to Sherpaguan / Yamphuding (2080 m). A little tough with frequent ascents and descents. Yamphuding is the biggest village on the south side of Kanchenjunga, Kanchenjunga restricted area is end here in Yamphuding stay overnight at Teahouse. Trail descent through the forest, cardamom field and through the Limbu village lead us to Khebang village stay overnight at teahouse. Walking through the beautiful local village and cardamom field lead us to Padang. Following the Kabeli Khola finally, lead us to Sinam village and dirt road connected in this hilly region and from here we will drive our way to Bhadrapur next morning stay overnight at Sinam. Day 23: Drive to Kanyam. Drive back to Kanyam stay overnight at a tea house in the beautiful tea garden in Nepal. Drive to Bhadrapur and flight to Kathmandu, transfer to Hotel stay overnight at Hotel Kathmandu. A free day in Kathmandu. For those who wish, there will be a guided tour of some of the city’s most important sights. This day is also a contingency day in case of delays to the Bhadrapur flight. DEPARTURE TIME Please arrive, least 2 hours before the flight. Prices are quoted and payable only in (US$ dollars). All prices published on our websites, brochures, and marketing materials are set as low as possible. The trip prices may vary at any time subject to government actions, numbers of travelers, duration of holidays, standard hotel. An increase in transportation costs due to hike fuel prices before we have accepted your booking. However, we guarantee our prices which have already signed up for your tour. Please Contact us to Get a custom quote.